It is one of the oldest liqueurs of the Amalfi Coast, a dark and very dense distillate of aromatic herbs, prepared for the first time, according to tradition, in the Royal Conservatory of the Saints Giuseppe and Teresa in Pucara, Tramonti. It is the concerto, whose name clearly refers to the harmony of its ingredients. 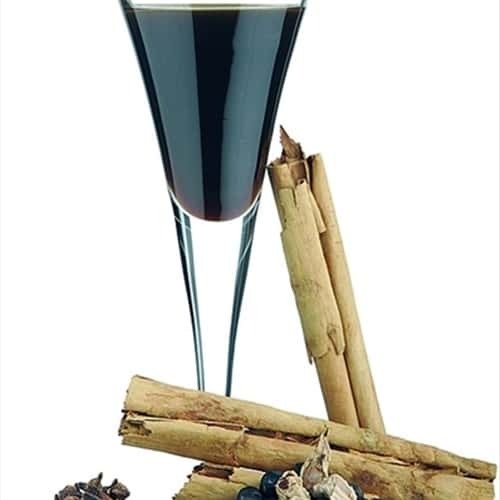 The nuns prepared this delicious liqueur by using all the herbs and spices at their disposal, such as liquorice, fennel, cloves, nutmeg and mint, adding barley and coffee. The concerto was originally used as a panacea for all ills and Tramonti elderly housewives are still persuaded of its magical and therapeutic qualities. Today it is customary to offer a glass of concerto ("'na presa ‘e cuncierto" in Neapolitan language) to friends as a sign of hospitality. Produced at household level, you can purchase a bottle of concerto in one of the workshops of the Amalfi Coast. A pre-packed portion for concerto (usually sold at the pharmacies of the Amalfi coast), 1 Lt. of alcohol, lemon peel, 1 Kg. of marinated barley, 2,5 Kg. of sugar, 6 cups of coffee. Make a mixture of all crushed spices and put it to brew in alcohol for 40 days with the lemon peel. Boil the barley in 4 liters of waters and let stand for about 2 days; then filter it through a cloth or a filter paper. Dissolve the sugar in the filtered liquid on a medium heat and finally add the coffee. Filter the infusion of spices and alcohol and mix together with the barley. After few months, put the liqueur into bottles.